As an employer, it is vital to have a protocol in place to ensure all employees know what to do when an injury occurs at work. A key piece of this protocol is advising employees to report all injuries immediately. This will allow you, as the employer, to get the injured employee the proper medical treatment in a timely fashion. It will also help you understand what causes injuries and what you may be able to do to prevent them in the future. Engage with the injured employee and ask them to explain and to demonstrate how the accident happened, if they are able. By doing this, you are starting the investigation stage of an injury. If the employee requires immediate medical assistance, call 911. Secure the scene and investigate the accident. 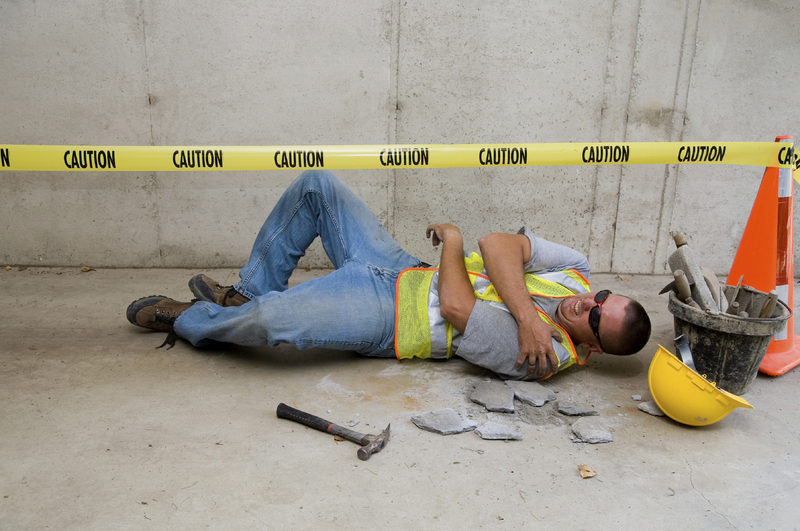 Investigating a work-related injury is the first step in helping the employee, employer, and Claims Representative understand how the injury occurred, and it will alleviate later questions about the mechanism of injury. Investigating a reported injury allows the employer to take corrective action to control secondary accidents and identify sources of hazards and preserve evidence. Interview witnesses – they can have a lot of useful information about how the injury occurred. If your company is insured for Workers’ Compensation through Western National Insurance, the supervisor and employee should call the 24/7 Work Injury Nurse Line at (855) 607-7548. (Other insurance providers may have a specific triage line as well.) A nurse will assess the injury and help the injured employee determine if they need to seek medical attention. An employee can elect for first aid treatment at the employer’s location. The employer should make sure the first aid kit is stocked. If the employee is recommended for medical treatment outside the employer’s facility, the call from Western National’s Work Injury Nurse Line will automatically transfer to the First Report of Injury (FROI) in-take line where an in-take specialist will complete the FROI for the employer. Provide the Medical Report received from the Medical Provider to their Supervisor/Manager after the initial medical appointment and each subsequent appointment thereafter. Based on the Medical Report, the employer should coordinate light-duty work with the employee, if applicable. Once the employer determines light-duty work, a job offer listing the duties should be given to the employee in a written format. As the employee continues treatment, and if the restrictions change, a new job offer should be made for each change in restrictions. Email or fax a copy of the Medical Report and the light-duty job offer to the Claims Representative assigned to handle the claim. This will ensure timely sharing of information. Work with the Claims Representative in communicating with the medical provider that you, as the employer, have light-duty positions available. The Claims Representative can work with the medical provider and advise what light-duty work is available, which in turn, can lead to a release to return to work for the employee. The best practice in managing a work-related injury is communication. This allows for faster return to work for the injured employee and lower costs overall.